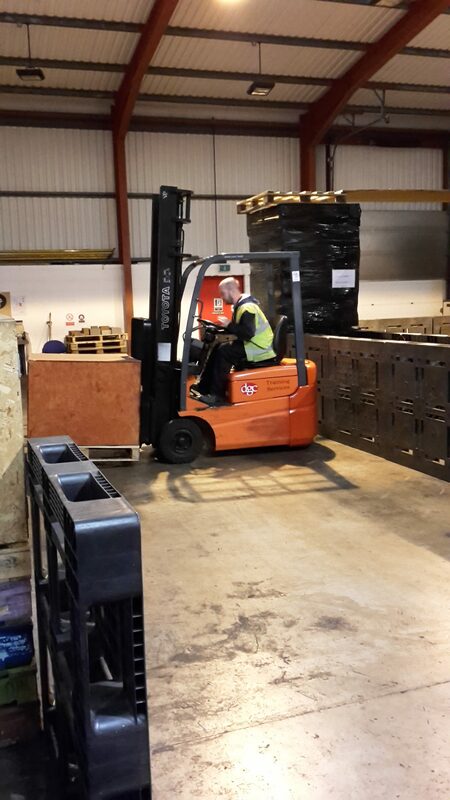 Our forklift operator courses can be conducted on-site or at our training centre in Dellburn Trading Park, Motherwell. Our courses meet HSE requirements and accredited* by RTITB, providing assurances of the highest quality of training standards. We provide 4 basic courses on Forklifts: Novice, Experienced, Refresher and Conversion. Below gives a short explanation of each course type along with examples of the training times for a Counterbalance Forklift – this is based on the NORS MATRIX of minimum training durations (please contact us for other truck types), or click here. Experienced operators who have been using the forklift on a regular basis (minimum 6 months) and have therefore a good working knowledge of the machine, but have never had any formal training or certification. Candidates will be required to undergo an Instructor Assessment and fill in our Assessment Questionnaire to ensure they quality for the Experienced but Untrained course. If an instructor deems the candidate does not have the necessary experience they may be referred for a novice course and will be unable to continue with this particular course. For operators who hold a current forklift license on another type of machine, such as a Telescopic or a Reach truck. These candidates have an understanding of forklifts already so they qualify for a conversion course rather than starting training from scratch again. 3 candidates = 13 hours (2 days). Refresher courses are for candidates who have already been trained on the machine (in this case a counterbalance) and have proof of training (i.e. a certificate). They still qualify for refresher courses even if their current certification is out of date, providing they have been using the machine on a regular basis. Times above are the minimum training hours and do not include breaks. Successful candidates will be registered on the RTITB national operator database. *The following courses are currently only offered as DGC In-house certification : Gantry Crane, Tow Truck.